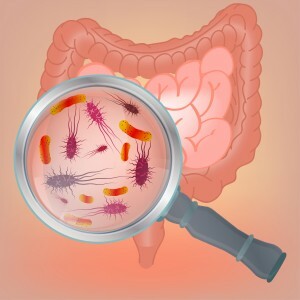 A recent study examined the effectiveness of probiotics in warding off Clostridium difficile-associated diarrhea (CDAD) in both children and adults. Clostridium difficile infection (CDI) is the leading cause of antibiotic-associated diarrhea, and the number of cases and its level of severity have increased over the past decade, making it a growing healthcare concern. There are at least 300,000 new cases of Lyme disease every year in the United States. As this patient group requires antibiotic therapy to treat Lyme and other tick-borne illnesses, there is a chance they can develop C. difficile. However, a rush decision to not prescribe or to discontinue antibiotics too soon can endanger the patient, as well. Meanwhile, probiotics have been suggested in preventing CDAD. “Probiotic use significantly reduced the risk of developing CDAD by 60.5%.” And, he adds, they were reportedly beneficial for both children and adults. “Probiotic supplementation is associated with a significant reduction in the risk of developing CDAD in patients receiving antibiotics,” the authors conclude. However, more studies are needed to determine the optimal dosage and strain of probiotics. Eppes SC, Childs JA. Comparative study of cefuroxime axetil versus amoxicillin in children with early Lyme disease. Pediatrics, 109(6), 1173-1177 (2002). Holzbauer SM, Kemperman MM, Lynfield R. Death due to community-associated Clostridium difficile in a woman receiving prolonged antibiotic therapy for suspected lyme disease. Clin Infect Dis, 51(3), 369-370 (2010). Nadelman RB, Arlin Z, Wormser GP. Life-threatening complications of empiric ceftriaxone therapy for ‘seronegative Lyme disease’. South Med J, 84(10), 1263-1265 (1991). Fallon BA, Nields JA, Parsons B, Liebowitz MR, Klein DF. Psychiatric manifestations of Lyme borreliosis. J Clin Psychiatry, 54(7), 263-268 (1993). Kanjwal K, Karabin B, Kanjwal Y, Grubb BP. Postural orthostatic tachycardia syndrome following Lyme disease. Cardiol J, 18(1), 63-66 (2011). Crowder LA, Yedlin VA, Weinstein ER, Kortte KB, Aucott JN. Lyme disease and post-treatment Lyme disease syndrome: the neglected disease in our own backyard. Public Health, 128(9), 784-791 (2014). Lau CS, Chamberlain RS. Probiotics are effective at preventing Clostridium difficile-associated diarrhea: a systematic review and meta-analysis. International Journal of General Medicine, 9, 27-37 (2016). Cammarota G, Masucci L, Ianiro G et al. Randomised clinical trial: faecal microbiota transplantation by colonoscopy vs. vancomycin for the treatment of recurrent Clostridium difficile infection. Aliment Pharmacol Ther, 41(9), 835-843 (2015). No Replies to "Probiotics can be priceless in preventing Clostridium difficile-associated diarrhea"